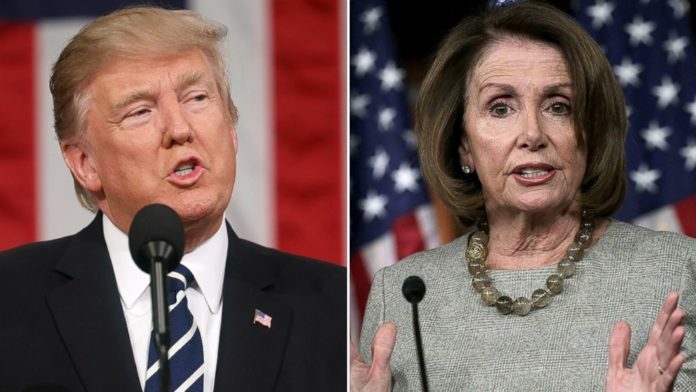 TRUMP CLIPS PELOSI’S WINGS: Cancels Speaker’s Overseas Trip 1 HOUR TO DEPARTURE, Demands She Fly Commercial! “Obviously, if you would like to make your journey by flying commercial, that would certainly be your prerogative!” concluded Trump, who had been smarting since Pelosi, the day before, called on him to postpone his Jan. 29 State of the Union address due to the shutdown. 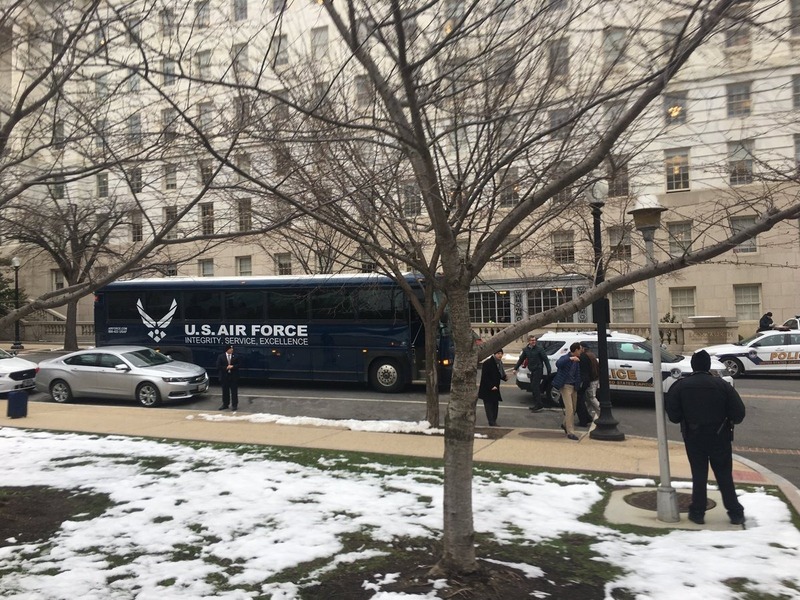 A bus was waiting outside the Capitol at the time of the announcement, waiting to take Pelosi and the delegation to the airport. What a petty little man. poor Amil Zola feels Nancy’s pain. That may be, however it’s no different than what she did. The President is a man of resolute action. Nancy can still go on her PR trip but she will have to pay for it if she deems it so important. President Trump did not as your headline says “Demands She Fly Commercial!”, he simply told her, free government transport is not available but that, of course, he was not seeking to prevent her going under her own steam. He is the President and Commander in Chief after all. “What a petty little man” you wrote. Thats fine with us. We dont need our president to live his life according to the mesilas yesharim and reishis chachma. I dont care when you are a petty little man taking revenge against those who do you something annoying, and so dont I care if the president of this country does so. As long as he does his presidential job to the best he can. Enjoy life and remember that this (that you are a “petty little man”) the next time you take revenge at the guy who pushed himself ahead of the supermarket line in front of you. What a complete pitiful baby, a disgrace to have this man sit in the White House. President Trump didn’t “demand that she fly commercial.” He said he’s not paying. GOOD FOR HIM!! She is such a witch. It is unfortunate that they have to have these petty little fights. But SHE and that jerk Shmucky Chucky are the ones who will not even sit down to talk. Trump is willing to talk and to come to a compromise. They are the little petty tyrants. 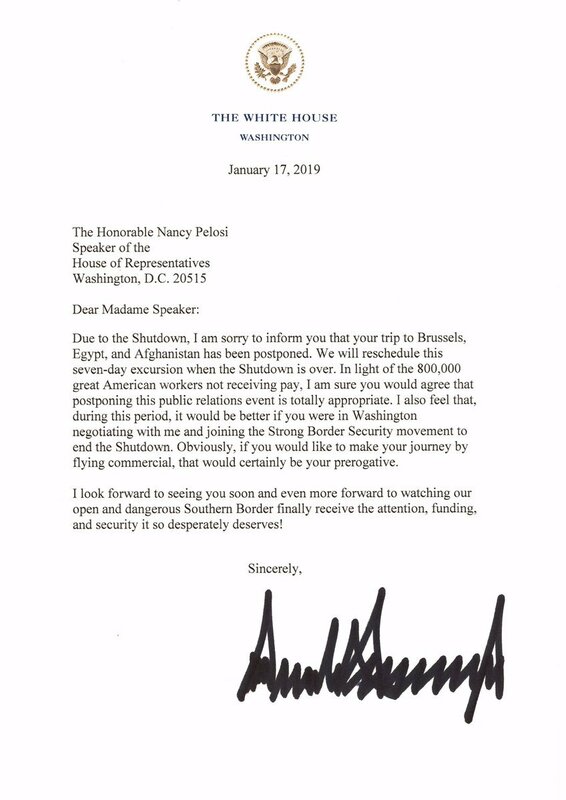 Pelosi had the audacity to interfere with the State of the Union Address, so President Donald Trump absolutely should deny her access to the Royal aeroplane. A good captain stays with his flock [unpaid Federal workers], which is exactly what President Donald Trump is so gracefully doing. How about putting Pelosi and Schumer on a 1 way trip, and never letting them come back. We all would be so much better off!!! rt, the real “disgrace” is your support for corrupt Jew-hating Marxist Democrat party that does not care to securing US borders. I doubt the presidents supporters care but it is a breach of national security to announce Ms. Pelosi’s trip to a war zone. She has no place leaving the country during a shutdown. She needs to go to the negotiating table not run away during a crisis. One of the problems here is that Pelosi makes a claim that is absolutely untrue. She referred openly to the “security” issue. That happens to be inaccurate, and she knows it. The security aspects of DHS relevant to Washington and the Secret Service are not shut down. These services are functioning as usual, and none of those workers are furloughed or not getting paid. If she stated that she was withdrawing the invitation because it was inappropriate to hold the address during a shutdown, I could disagree, but see that she has a point. But, a typical Democrat, truth plays zero role in her life, and that is what we will be punished with for the next two years. May HKB”H grant us a miracle and protect us from the lying Pelosi. Too much power, too little conscience. But when Pelosi tries to cancel the state of the union, that’s not petty. I guess it all depends on who starts. So if trump wants to be not petty, he should start first. I get it. Amil Zola, would you say you are petty for responding to trump? Rt are you a pitiful baby for calling someone a name? Please explain to me exactly why it’s trump who is ”continuing the shutdown”? Last I checked, if Pelosi would agree to fund the wall, the government would be up and running. So isn’t it Pelosi who is causing the shutdown??? Bottom line the democrats are not used to someone standing up to them after all the years of reporting to Amil Zola type tricks of doming whatever despicable action you want and then shaming the other side into inaction. Yes trump has no shame. Ben7863, and yet the president went overseas during a shutdown. Well this brouhaha has served it’s purpose. While all of this was going on Melania was able to fly to Mar a Largo, almost unnoticed. Gentle people have a good evening and a pleasant tomorrow. Oh BTW Thank Hashem, I’m not the least bit impacted by your insults or the insults of posters here in YWN. He didn’t do that. He disclosed that she’s not making the trip. There’s nothing irresponsible about that! If she decides to go anyway, on a commercial airline, he won’t disclose it. The president went overseas when Pelosi and Schumer were out of town and he was not needed in Washington. And he went for one day; straight there and back. In addition, he achieved something; the soldiers appreciated seeing him. Nobody was looking forward to Pelosi, or is disappointed to have missed her. In Brussels maybe, not in Afghanistan. And why on earth should the president’s family not go to Florida? They’re not needed in any negotiations with Congress. He should have told her that she is free to either fly commercial or by broomstick. Mihouse: One reason #Flotulance should not be flying down to Palm Beach fo a weekend vacation is that the approximately 28 Secret Service agents who have to accompany her or guard the Mar Lago golf course while she is there are NOT getting paid and are forced to take a weekend away from their families. I don’t think that the Pelosi trip was essential while the shutdown is ongoing but the royal style of the Trumpkopfs is insanity. To LittleKnowledge: You are correct that some components of DHS including the SS are still on the job but that is only because they are required to do so. The members of the SS and the President’s protective detail are NOT being paid and will only receive their compensation once the President signs a new appropriations bill for DHS and other agencies affected. As referenced above in relations to @Flotulence’s flight this evening down to Palm Beach, these SS agents are already demoralized and stressed and ANY of these activities are only making it more difficult. All of them should stay home and work on a resolution of this fiasco. Your comments really made sense. He should have let her go. He could have done an even bigger service to our country by letting her go and then cancelling her RETURN flight! To Amil Zolah: It was definitely Crooked Hillary. She sneaked in to the WH (using her old ID card) and impersonated the Trumpkopf at the meeting with Pelosi and Schumer. Great disguise and impersonation. The Tumpkopf would never have made such a stupid statment. Don’t you get it? If a democrat does “it”, it’s correct. If a republican does the same it, it’s immoral. This is a leftist axiom along with subjective truth, illogic and yes, anti-semitism. That any religious Jew supports the Democratic Party is disgraceful. I give up. Who said it? I’ve got a pen and a phone?